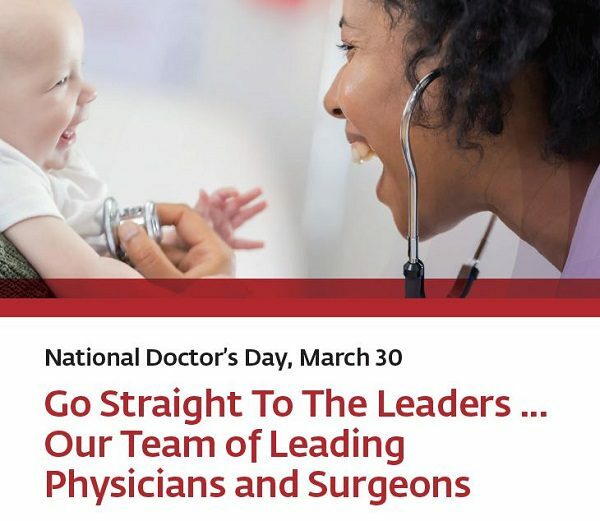 In celebration of National Doctor’s Day, we take time to recognize our team of leading physicians and surgeons for all they do, every day. We are proud of their commitment to our culture of excellence, providing patients and their families with the best care possible. Their dedication — and the efforts of our 12,500 staff members — has helped St. Peter’s Health Partners become the most comprehensive health resource for everyone in the Capital Region. Together, our physicians and surgeons offer high-quality, compassionate care across a full spectrum of services in more than 185 locations – including hospitals, practices, outpatient settings, continuing care facilities, and in people’s homes throughout the region. On behalf of the Board of Directors, Senior Leadership and the entire St. Peter’s Health Partners community — THANK YOU for helping us carry out our mission every day.